how could i be wrong on something so basic? Flat earth is very real. Just look at a map. It’s flat! 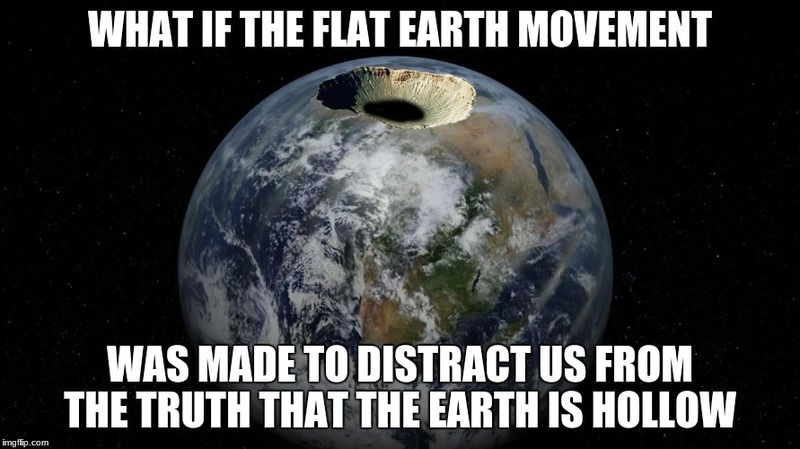 All this hype about the flat earth but not a peep about the earth being hollow..........hmm makes you wonder. Maybe it’s hollow AND flat? This sort of speculation could open the door for all sorts of wild Ideas. What if the earth was flat but it was also a mobius Strip? People could look over the edge and see the underside of the other side of the Earth and see the Australians doing hand stands to counteract the opposite force of gravity.